When you add a new Character to your list, you need to upload a main image. This image must have transparent background. This is a tutorial step by step about how to do it. With your Fighter Factory, click over the “Open project” button and go to the mugen character directory. 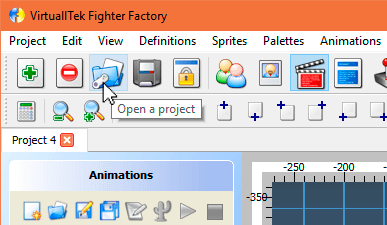 Inside the folder, find the .def file and double click on it to open it with Fighter Factory. 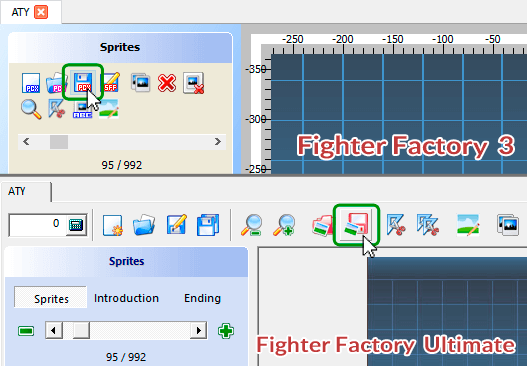 Fighter Factory has lots of sections to edit Characters. 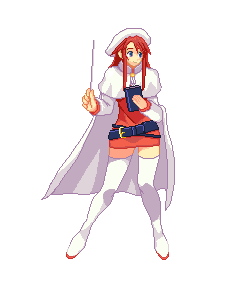 We need the sprites section. 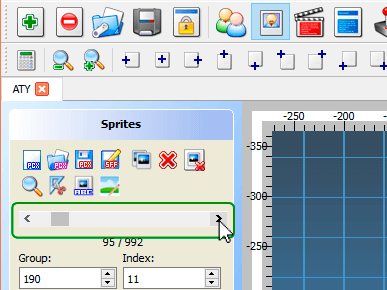 Press the “Sprites” button to open that section. 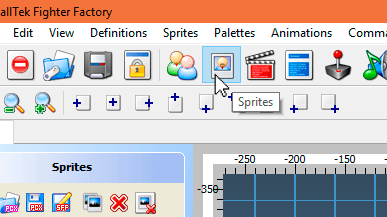 Browse the sprites using the vertical scrollbar until you find the sprite you want. Do not modify the numbers on the fields accidentally or your Character may not work properly. Click over the “Save image” button. 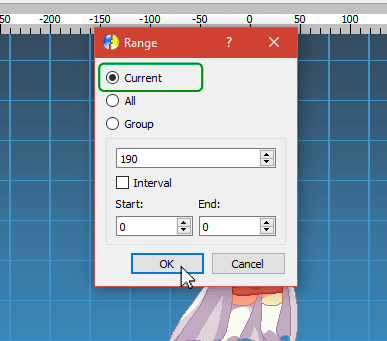 In the open window the “Current” option must be selected. Press the Ok button, type a filename for the image and save it as a PNG file. 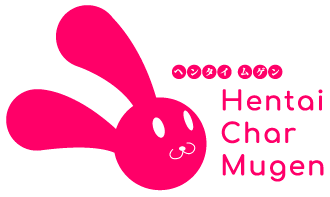 If you can't save it as PNG, try with PCX or BMP. Now you have a image with transparent background. 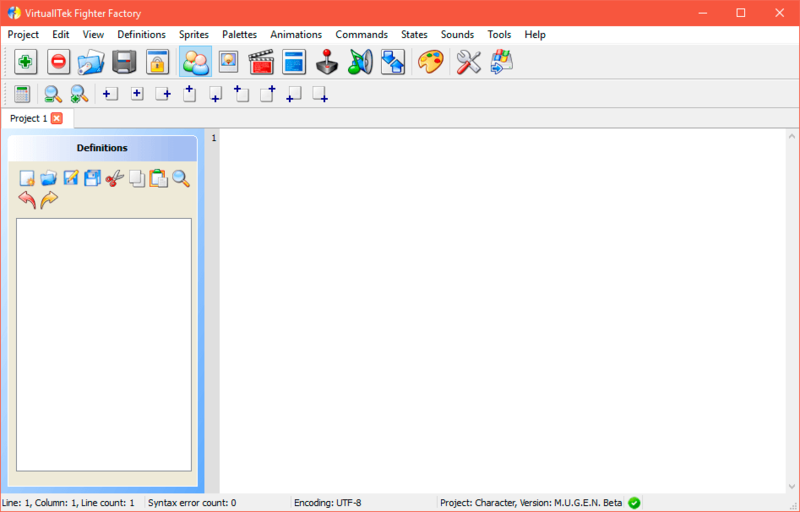 Sometimes the image is saved with solid background color or empty space around the Character.